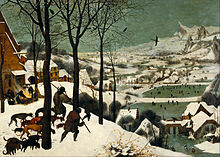 The Little Ice Age (yesterday’s post) was vague and questionable in its outlines and origin. The Year Without a Summer was precisely delineated, and there is no question of how it came about. It was the result of volcanic activity. There is, however, a smaller mystery. In 1808, a very large eruption took place, but no westerner saw it. It is memorialized in ice samples from Greenland and Antarctica, and scientific detective work places the eruption somewhere between Tonga and Indonesia. It began a period of northern hemispheric cooling. Then in 1815, the largest and most destructive volcanic eruption in human history took place at Mount Tambora in what is now Indonesia. The explosion was heard 1600 miles away. (Krakatoa, a better known eruption in the same region in 1883, was less intense.) Between the mystery eruption of 1808 and the Mount Tambora eruption of 1815, the second decade of the 1800s became the coldest on record. 1816 became known as The Year Without a Summer. The Year Without a Summer was disastrous. Crops, which had already been bad, probably because of the 1808 eruption, failed. Famine was everywhere in Europe, followed by typhus. There were massive storms and floods; an estimated 200,000 died in Europe. In America, the northeast was hit hardest. Frosts continued through the summer. In August ice floated on Pennsylvania rivers. Snow fell in June in Massachusetts. Food was scarce and in 1816 there was no way to move it from less affected regions to those hardest hit. That year and shortly after, masses of northeasterners moved to the midwest, swelling the populations of Indiana and Illinois. The event left echoes in literature. In 1816 Mary Shelley, Lord Byron, J. W. Polidori and others were storm bound together in a villa overlooking Lake Geneva. A contest of writing ghost stories ensued. Byron wrote a fragment, which Polidori later turned into the first vampire story (The Vampyre), Mary Shelley began what later evolved into Frankenstein, and Byron also wrote Darkness, a long poem inspired by the lightless days. Here is a bit of that poem, which brings back memories of those old science fiction stories from my youth when the glaciers moved in to destroy humanity. This entry was posted in A Writing Life and tagged ecology, history, literature, poetry, seasons, writing on April 18, 2017 by sydlogsdon.